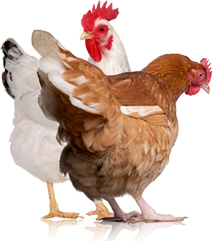 Preference for the Animal Welfare Approved Good Husbandry Grants will be given to poultry-genetics projects. 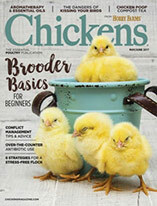 Animal Welfare Approved, an organization certifying farmers that raise animals according to high welfare standards, has made Good Husbandry Grants available to AWA-certified farmers for projects improving the welfare of farm animals. 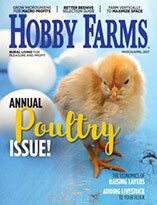 Hobby farmers may submit a proposal for one 2011-2012 project to receive a maximum of $5,000. Project proposals will be considered based on priorities set by AWA. Preference will be given to projects concerning livestock genetics, specifically poultry, hogs, dairy and other ruminants (listed in order of priority); outdoor livestock housing, specifically mobile housing; welfare improvements for the slaughter process; nonlethal predator control; and other projects improving animal welfare. Granted funds may also be used to purchase breeding stock that positively impact animal welfare or to partially fund larger projects. Details on grant priorities can be found on the AWA website. To apply for an AWA Good Husbandry Grant, hobby farmers must complete the grant application for farms (a separate form is available for slaughter facilities), including a detailed and accurate proposal for the project budget. The original application plus five copies must be sent to Good Husbandry Grants, Attention: Emily Lancaster, 1007 Queen Street, Alexandria, VA 22314, and must be postmarked by Sept. 30, 2011. Former grantees are eligible to apply for and receive this year’s grants. Grantees will receive a letter detailing the terms of the grant by Jan. 3, 2012, and funds will be disbursed during the 2012 calendar year. Grants will be awarded based on each project’s potential to deliver the greatest benefit to farm animals, as determined by the AWA’s grant-review panel.